CLEAN ACCIDENT FREE CARFAX |, ONE OWNER CLEAN CARFAX |, LEATHER |, HEATED SEATS |, NAVIGATION / GPS |, POWER LIFT GATE |, BACKUP CAMERA |, KEYLESS ENTRY |, REMOTE START |, CRUISE CONTROL |, STEERING WHEEL CONTROLS |, USB / AUX PORTS |, BLUETOOTH |, BOSE STEREO |, BLIND SPOT ALERT SYSTEM |, FORWARD COLLISION ALERT |, LANE KEEP ASSIST |.CARFAX One-Owner. Clean CARFAX. Magnetic Black 2018 Nissan Rogue SL FWD CVT with Xtronic 2.5L I4 DOHC 16V2018 Nissan Rogue SL FWD. 26/33 City/Highway MPGAt BMW of Tyler, we provide new, certified pre-owned, and used car, truck, SUV sales. We have a wide selection of coupes, sedans and sport activity vehicles including the BMW 3 series, 5 series, X3, and X5. Come by our Tyler, Texas BMWDealership and test drive your dream car today! From buying a new BMW, purchasing an used car, getting BMW parts, auto repairs, or looking for new or used car financing options. Call us to make appointment today, check out our online service scheduler, or just stop by out dealership at 2401 W SW Loop 323 in Tyler, Texas! BMW of Tyler is your East Texas BMW dealer, serving greater Tyler,Longview, Lufkin, Nacogdoches, Lindale and Kilgore. www.bmwoftyler.com. CLEAN ACCIDENT FREE CARFAX |, ONE OWNER CLEAN CARFAX |, BACKUP CAMERA |, KEYLESS ENTRY |, CRUISE CONTROL |, STEERING WHEEL CONTROLS |, USB / AUX PORTS |, BLUETOOTH |, RUNNING BOARDS |.CARFAX One-Owner. Gray 2016 Ford F-150 XL RWD 6-Speed Automatic Electronic 2.7L V6 EcoBoost2016 Ford F-150 XL RWD. Odometer is 31560 miles below market average! 19/26 City/Highway MPGAwards:* 2016 KBB.com Brand Image AwardsAt BMW of Tyler, we provide new, certified pre-owned, and used car, truck, SUV sales. We have a wide selection of coupes, sedans and sport activity vehicles including the BMW 3 series, 5 series, X3, and X5. Come by our Tyler, Texas BMWDealership and test drive your dream car today! From buying a new BMW, purchasing an used car, getting BMW parts, auto repairs, or looking for new or used car financing options. Call us to make appointment today, check out our online service scheduler, or just stop by out dealership at 2401 W SW Loop 323 in Tyler, Texas! BMW of Tyler is your East Texas BMW dealer, serving greater Tyler,Longview, Lufkin, Nacogdoches, Lindale and Kilgore. www.bmwoftyler.com. CLEAN ACCIDENT FREE CARFAX |, ONE OWNER CLEAN CARFAX |, LEATHER |, HEATED SEATS |, NAVIGATION / GPS |, BACKUP CAMERA |, KEYLESS ENTRY |, REMOTE START |, CRUISE CONTROL |, STEERING WHEEL CONTROLS |, USB / AUX PORTS |, BLUETOOTH |, TOUCH SCREEN RADIO |.CARFAX One-Owner. Clean CARFAX. Black 2018 Chevrolet Silverado 1500 LTZ 1LZ RWD 6-Speed Automatic Electronic with Overdrive V82018 Chevrolet Silverado 1500 LTZ RWD. Odometer is 3180 miles below market average!Awards:* JD Power Initial Quality StudyAt BMW of Tyler, we provide new, certified pre-owned, and used car, truck, SUV sales. We have a wide selection of coupes, sedans and sport activity vehicles including the BMW 3 series, 5 series, X3, and X5. Come by our Tyler, Texas BMWDealership and test drive your dream car today! From buying a new BMW, purchasing an used car, getting BMW parts, auto repairs, or looking for new or used car financing options. Call us to make appointment today, check out our online service scheduler, or just stop by out dealership at 2401 W SW Loop 323 in Tyler, Texas! BMW of Tyler is your East Texas BMW dealer, serving greater Tyler,Longview, Lufkin, Nacogdoches, Lindale and Kilgore. www.bmwoftyler.com. CLEAN ACCIDENT FREE CARFAX |, ONE OWNER CLEAN CARFAX |, BACKUP CAMERA |, KEYLESS ENTRY |, CRUISE CONTROL |, STEERING WHEEL CONTROLS |, USB / AUX PORTS |, BLUETOOTH |, 4 WHEEL DRIVE |, 4WD.CARFAX One-Owner. Silver 2016 Ford F-150 XLT 4WD 6-Speed Automatic Electronic 5.0L V8 FFV2016 Ford F-150 XLT 4WD. Odometer is 10072 miles below market average!Awards:* 2016 KBB.com Brand Image AwardsAt BMW of Tyler, we provide new, certified pre-owned, and used car, truck, SUV sales. We have a wide selection of coupes, sedans and sport activity vehicles including the BMW 3 series, 5 series, X3, and X5. Come by our Tyler, Texas BMWDealership and test drive your dream car today! From buying a new BMW, purchasing an used car, getting BMW parts, auto repairs, or looking for new or used car financing options. Call us to make appointment today, check out our online service scheduler, or just stop by out dealership at 2401 W SW Loop 323 in Tyler, Texas! BMW of Tyler is your East Texas BMW dealer, serving greater Tyler,Longview, Lufkin, Nacogdoches, Lindale and Kilgore. www.bmwoftyler.com. CLEAN ACCIDENT FREE CARFAX |, ONE OWNER CLEAN CARFAX |, LEATHER |, HEATED AND COOLED SEATS |, NAVIGATION / GPS |, BACKUP CAMERA |, KEYLESS ENTRY |, REMOTE START |, CRUISE CONTROL |, STEERING WHEEL CONTROLS |, USB / AUX PORTS |, BLUETOOTH |, TOUCH SCREEN RADIO |, BLIND SPOT ALERT SYSTEM |, RUNNING BOARDS |, 4WD.CARFAX One-Owner. Clean CARFAX. Magnetic Metallic 2016 Ford F-150 Lariat 4WD 6-Speed Automatic Electronic 5.0L V8 FFV2016 Ford F-150 Lariat 4WD. Odometer is 11761 miles below market average!Awards:* 2016 KBB.com Brand Image AwardsAt BMW of Tyler, we provide new, certified pre-owned, and used car, truck, SUV sales. We have a wide selection of coupes, sedans and sport activity vehicles including the BMW 3 series, 5 series, X3, and X5. Come by our Tyler, Texas BMWDealership and test drive your dream car today! From buying a new BMW, purchasing an used car, getting BMW parts, auto repairs, or looking for new or used car financing options. Call us to make appointment today, check out our online service scheduler, or just stop by out dealership at 2401 W SW Loop 323 in Tyler, Texas! BMW of Tyler is your East Texas BMW dealer, serving greater Tyler,Longview, Lufkin, Nacogdoches, Lindale and Kilgore. 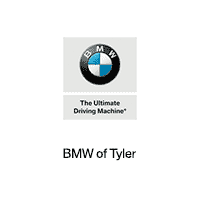 www.bmwoftyler.com.